Mr.A.Somasundaram is basically from a business family. 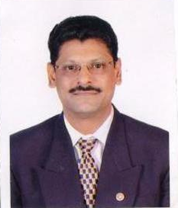 He completed his Charter Accountancy and started companies like Somu Fabricators and Sankar & Co- vision care division. Somu Fabricators was No.1 in India for the last 12 years. He has been honored with awards like Young Businessman Award. In the year 2008, Sankar & Co Vision Care Division partnered with Essilor. Sankar& Co has been featured in the Annual Report of Essilor representing India. Mr.Somasundaram is an active Rotary Member and has done many successful projects for Rotary like Crematorium and Vocational Training Centres. He is the Chairman of Mettupalayam Crematorium. He is a Charter TiE Member and works for the upbringing of the young entrepreneurs. His vision for serving the society makes him be part of Essilor Vision Foundation. The foundation organizes free eye camp in association with Aravind Eye Hospital and provides a spectacle to the needy in remote villages. Mr.Somasundaram is a man with great financial discipline. His step towards success is positive thinking, treating all equally, and being humble to everyone. The Lecture session is to inspire and motivate students to choose entrepreneurship as a career option by experienced veterans in the field. The session will also elicit the opportunities and challenges in the field. The Indus Entrepreneurs (TiE), was found in 1992 in Silicon Valley, the USA by a group of successful entrepreneurs, corporate executives, and senior professionals with roots in the Indus region. There are currently around 11000 members including over 2,500 charter members in 61 chapters across 18 countries. TiE’s mission is to foster entrepreneurship globally through mentoring, networking and education. TiE Coimbatore is part of the Global network of TiE Chapters. Coimbatore, along with neighboring areas is the hub of SMEs in South India. It was to reach out to the entrepreneurial community and potential entrepreneurs in the region that TiE Coimbatore was launched on 22nd November 2010. The Chapter was founded by leading industrialists across sectors and aims at supporting entrepreneurs in the region to become global leaders and nurturing an innovative entrepreneurial ecosystem in the region. The Chapter is the second one in Tamilnadu after TiE Chennai.